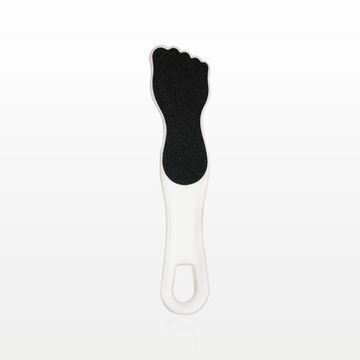 This reusable callus remover block is highly effective during pedicures and foot treatments. The coarse carborundum coating helps remove stubborn calluses with ease. This item can also be sold at retail or promoted as a gift with purchase. 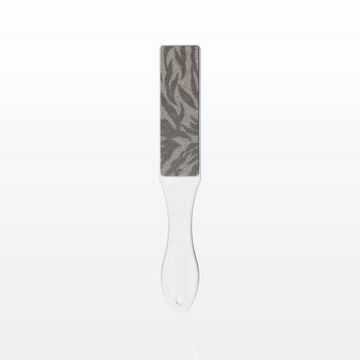 This dual sided foot file with zebra design is a great tool for customer pedicures and foot treatments. Use the file to remove calluses and the sponge side to smooth out rough skin. This product can also be sold as a retail item or promoted as a gift with purchase. Our selection of effective foot files meet professional demands. Each file is designed for pedicure treatments in the salon or spa environment, as well as for at-home use. They feature shapes and materials that cater to your clients’ needs and comfort. Our professional callus removers soften skin, leaving it supple. We supply these foot-friendly tools in a range of grits. Qosmedix also offers reusable callus remover blocks. 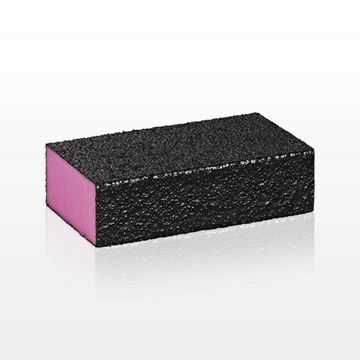 A block with a coarse carborundum coating provides a superior solution for more stubborn calluses. Reusable blocks and pedicure foot files make popular retail items or gifts-with-purchase. A client’s needs are met more easily when technicians have access to a variety of pedicure callus removers and nail implements. At Qosmedix, we make ordering specialized salon products, individually or in bulk, easy, fast and affordable. Smoother, softer soles begin with a professional callus remover. By using the right foot file, calluses are reduced and skin is renewed. 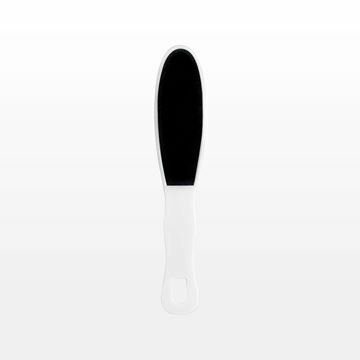 A dual-sided foot file provides multiple benefits in one product. The higher-grit side takes care of calluses. A lower-grit or sponge side eases away dry skin and improves texture. Our professional callus removal tools have great features, such as handles that can be conveniently hung for quick access. Customized handles are also a great way to publicize the name of a spa or nail salon. From files to spa slippers, Qosmedix is an industry leader in providing pedicure supplies that contribute to soft, supple feet. Whether you order a single item or supplies in bulk, you will receive the same dedicated service and personalized attention to your order. Why not contact us today to learn more?